It was reported late last year that Rob Zombie was planning to make The Devil's Rejects 2 his next project. A new report suggests that production is going to begin as early as this spring. The movie is allegedly titled The Devil's Rejects 2: Three from Hell as reported by Bloody Disgusting, which is an interesting title if it turns out to be true. A quick glance into Rob Zombie's schedule shows that he's currently in the studio making another record without a release date and the horror rocker only has one tour date lined up for the year, but it isn't until the middle of July. Bloody Disgusting is reporting that the movie is called The Devil's Rejects 2: Three from Hell and that production could start as early as this coming March. Though nothing has been officially confirmed by Rob Zombie or the studio, his schedule appears to be wide open for this winter and spring, plus now is the perfect time to revisit the movie for the horror rocker. Though the title is unconfirmed, it is believed to be a hint of how the Firefly family could make a return in the long-awaited sequel. Throwing more fuel on the speculation fire, Rob Zombie's official website was selling new Captain Spalding t-shirts at the beginning of the year that have since sold out completely, leading many to believe that The Devil's Rejects 2 is coming soon. It's been 13 years since the original movie was released, which was an actual sequel to Houseof 1000 Corpses, and most Rob Zombie aficionados claim it to be his best work, so a sequel sounds pretty obvious, but what about the pressure of making something that stands up next to the original? Additionally, the first movie didn't really end with a whole lot of room for the return of the Firefly family. As previously mentioned, the alleged title of The Devil's Rejects 2: Three from Hell could certainly point to a way of the Firefly family coming back from the dead after the family drives into a hail of bullets. It's the horror genre, so just about anything is possible at this point. Rob Zombie is definitely a big fan of the supernatural and the occult, which has been shown in his other movies, but will it fly with fans bringing the Firefly family back to life? This is all speculation at this point, but the title does seem to fit in pretty well. 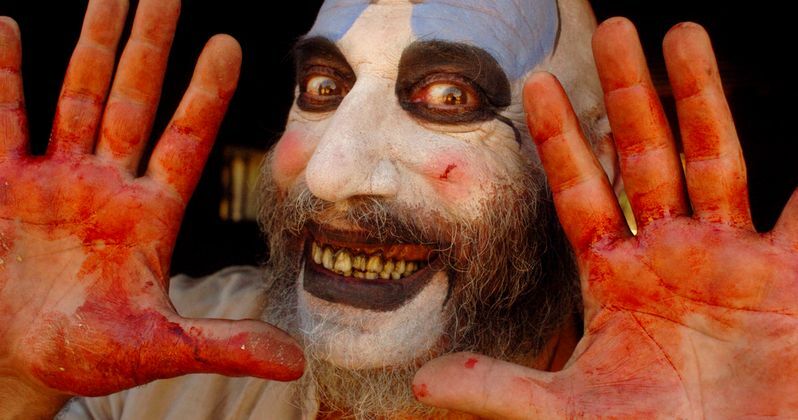 As far as a release is concerned, Bloody Disgusting reports that Rob Zombie is in negotiations with Saban Films and Lionsgate to get The Devil's Rejects 2 out into theaters as well as a VOD deal. Zombie was able to crowdfund his last project and then released it through both of the aforementioned companies, which leads us to believe that Zombie will again crowdfund this release. Regardless, it looks like The Devil's Rejects 2 is finally happening, 13 years later with a possible supernatural return of the Firefly family. More news is expected to drop soon. You can read more about the production start of The Devil's Rejects 2 via Bloody Disgusting.